SVN Rock Advisors Inc., Brokerage is a multifamily brokerage firm focused on multifamily asset classes, including apartments, student housing, multifamily land and new apartment construction. 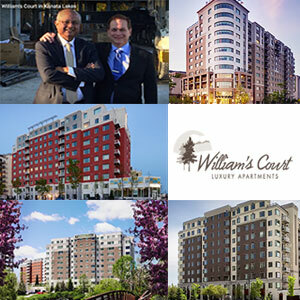 William’s Court at Kanata Lakes, the largest rental apartment complex built in Canada in more than 40 years, was sold by developer Francis Lépine’s Lépine Corporation to Killam Apartment Real Estate Investment Trust and KingSett Capital. Five luxury apartment buildings totaling 739 units — along with an 18,000-square-foot clubhouse featuring an indoor saltwater pool, state-of-the-art fitness centre and leisure facilities including a spa-inspired lounge area — built on the five-acre site in the Ottawa suburb of Kanata since Lépine first broke ground in 2010. “You could not deliver 739 units all at one time,” said Derek Lobo, chief executive officer of SVN Rock Advisors Inc., a multifamily brokerage firm, brokered the deal as part of a forward sales process. The final two buildings, located at 1203 Maritime Way and 985 Great Lakes Ave., includ 268 units and were completed in December 2015 and April 2016 respectively. The purchase price of almost $100 million brought the total value of the deal to more than $250 million. “Our long-term core fund is focused on a long investment horizon,” said KingSett partner and co-head of investments Joe Mazzocco in the same video. “Therefore we are focused on very high-quality purpose-built product. William’s Court at Kanata Lakes’ buildings were 96-per cent leased with an average rental rate of $2,160 per unit, according to the 2016 year-end report from Killam, which also manages the property. “We got hired to do the initial feasibility study by Francis nine years ago,” explained Lobo, which was also involved with the lease-up, marketing and sale of each apartment. Lobo said each apartment building leased up faster than its predecessor as the partners better understood what the marketplace wanted, and the buildings’ suite sizes and mixes were adjusted to reflect that. “When you have a site this big, you’re going to get a mixed bag of units and renters,” said Lobo. William’s Court at Kanata Lakes’ site is described by Lobo as a “suburban urban” node that’s close to condominiums, public transit and highways, and is a two-block walk from RioCan Real Estate Investment Trust’s Kanata Centrum Shopping Centre. Lobo of the multifamily brokerage firm said the ultimate suburban urban hub in Canada is around Oxford Properties Group’s Square One Shopping Centre in Mississauga, Ont., but that they exist on a smaller scale in several Canadian cities. 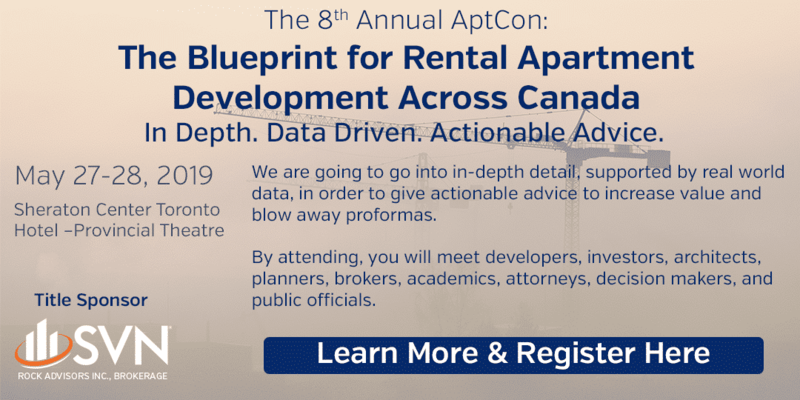 These types of locations are just one of the many factors driving the recent resurgence in new purpose-built rental apartments after their construction stalled, especially in Ontario and Quebec, after the introduction of rent controls in the mid-1970s. But times are changing, according to Lobo, who concedes that all of the conditions may have not been quite right when he started advocating for the construction of new apartment buildings almost 20 years ago. “We’ve had such a strong condo market that I can’t blame developers for building and selling condos,” he said. “But now I think that people are seeing that there’s a real opportunity here. Groupe Lépine was formed in Montreal in 1952 by René Lépine, who passed away in 2012. It’s now headed by his son Francis. The parent company’s Lépine Corporation and Groupe Lépine International have been involved in dozens of real estate development projects in Canada, Florida, eastern Europe and the Caribbean. Halifax-based Killam is one of Canada’s largest residential landlords. It owns, operates and develops multi-family apartments and manufactured home communities and has a $2-billion real estate portfolio. KingSett is a Toronto-based private equity real estate investment firm focused on major Canadian markets that co-invests with institutional and high net worth investors to achieve premium risk-weighted returns. It manages assets of $6.7 billion in a $9.2-billion portfolio.